As Ottawa-born content in the SCPs diminished with the exit of the Flyers (Briere, Giroux) and Sharks (Boyle), one of our local heroes remains in the hunt for Lord Stanley's prize. Ben Eager is a warrior. He is not a superstar. He is one of the soldiers who goes into the trenches and does the dirty work. Like Black Hawks legend Reggie Fleming--who helped the Hawks to their last Stanley Cup in 1961--Benny gets it done so the big names can shine. A T-E-A-M guy first and foremost. He's a big fella who skates like a freight train, hits just as hard, will take on anybody in a scrap, and can hurt with a big goal when you least expect it. He is the definition of the unsung hero. And he's one of ours. 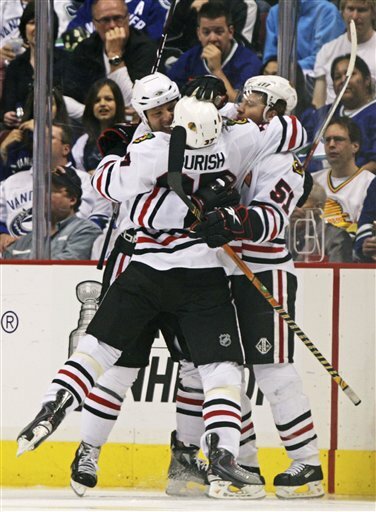 So let's all give Benny a shout out and round of applause...as he rocks with the Blackhawks. It's a long road to the Cup, but if Benny and the boys can get it done, Stanley's mug will make it to Ottawa this summer. 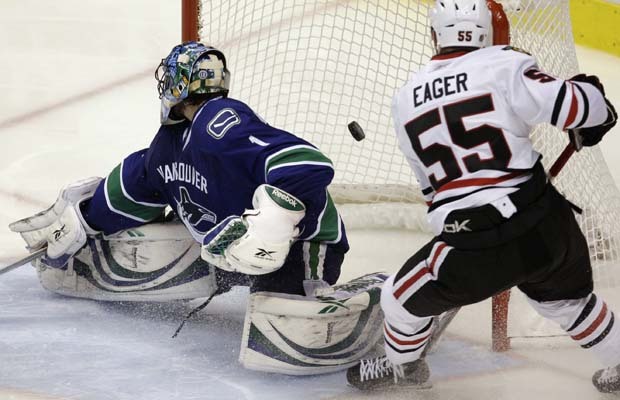 Benjamin Eager (born January 22, 1984 in Ottawa, Ontario) is a Canadian professional ice hockey left winger who currently plays for the Chicago Blackhawks of the NHL. He attended Immaculata High School in Ottawa. Eager was drafted in the 1st round, 22rd overall by the Phoenix Coyotes in the 2002 NHL Entry Draft. He was later traded by the Coyotes along with Sean Burke and Branko Radivojević to the Philadelphia Flyers for centre Mike Comrie. 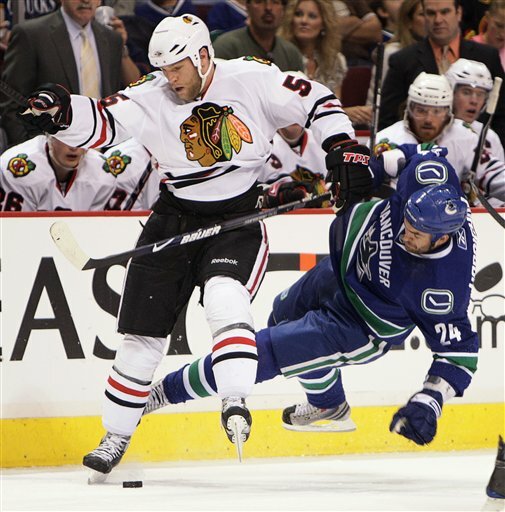 The 2006–07 NHL season would see Eager lead the league in penalty minutes, even though he only played 63 games. That same season, he also won the Pelle Lindbergh Memorial as the Flyer who has most improved from the previous season, as voted by his teammates. 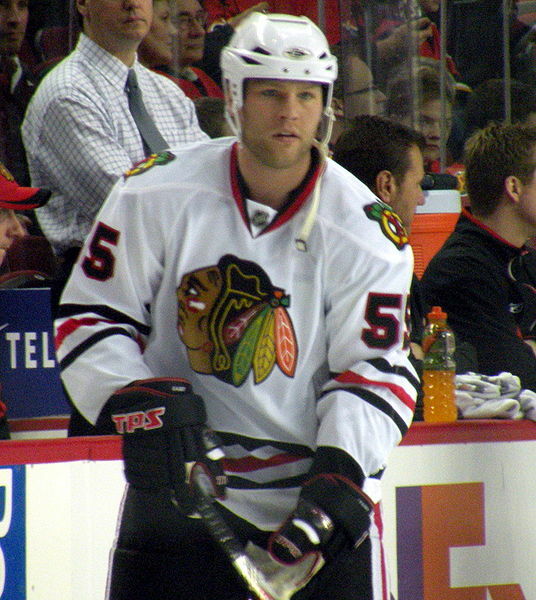 Eager was traded to the Chicago Blackhawks on December 18, 2007 for Jim Vandermeer. team. It was very confusing that he was an nhl calibur player. He fills a void but roster spots shouldnt be wasted on muckers like this. Sorry to contradict you, my friend...you may have hard feelings about him but you clearly haven't watched him play this year. Well, he's got a regular spot with the Hawks...so that means a lot. He did win that Pelle Lindbergh award for 'most improved player' when he was with the Flyers as well. But there's always room for more improvement, as you know. PS good to know you are playing hockey! I haven't gotten into men's league yet but I'm still out there all winter. That could very well be true because it's not all about the skill and abilities of a player that gets them to the NHL. There's got to be a lot of that but it's a lot about being in the right place at the right time, getting noticed and appreciated by the right people as well as attitude and the "intangebles" IMO. I have no doubt that there are several NHL calibre players that never made the NHL because not all things fell into place in order for the dream to be realised. Cap'n Clutch wrote: That could very well be true because it's not all about the skill and abilities of a player that gets them to the NHL. There's got to be a lot of that but it's a lot about being in the right place at the right time, getting noticed and appreciated by the right people as well as attitude and the "intangibles" IMO. I have no doubt that there are several NHL calibre players that never made the NHL because not all things fell into place in order for the dream to be realised. Right on, Cap, right on. And that's what makes hockey the greatest sport in the world. PS people forget sometimes how many wonderful players the Ottawa region has given the NHL...time to give them all their props! There was an exhibit at City Hall a few months supposedly honouring the history of hockey in Ottawa...it barely filled one small room...sad when you think of all the money they spent on that big shiny building...and they can't find it within themselves to show respect for Ottawa's legendary hockey players. dirty, dirty player. I hope he gets whats coming to him. things fell into place in order for the dream to be realised. of his skills out now. The Guy With The Mustache wrote: dirty, dirty player. I hope he gets whats coming to him. My dear friend RonBurgunGuy...young Mr Eager is fulfilling a role which is a consequence of the presence of dirty, dirty, dirty players like Dirty Darcy Hordichuk (pictured here). The need for a player who can be an enforcer remains a reality in the NHL. Ben Eager silences his critics with the winning goal on Saturday. His summer hockey team for the record, they are called the "Beauties" hahaha.